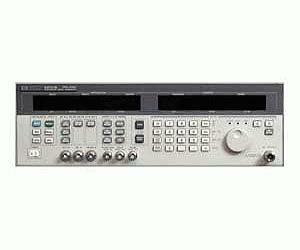 The Agilent 83731B synthesized signal generator sets a new standard for performance at a price that is surprisingly affordable. No longer will you have to give up frequency coverage, modulation or reliability to meet your budget. This signal source will perform beyond your expectations at a price within your reach. Fundamental oscillators and switched low-pass filters deliver <-55 dBc harmonics, eliminate subharmonics and suppress spurious to <-60 dBc. This signal source provides plenty of output power (typically >+14 dBm), while spectral purity is maintained even at high power levels (typical output power at frequencies below 1 GHz is +20 dBm).